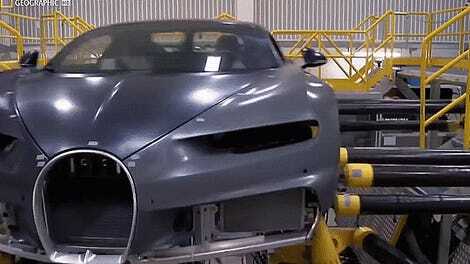 The Bugatti Chiron doesn’t operate like other cars. It’s on a different plane of speedxistence. 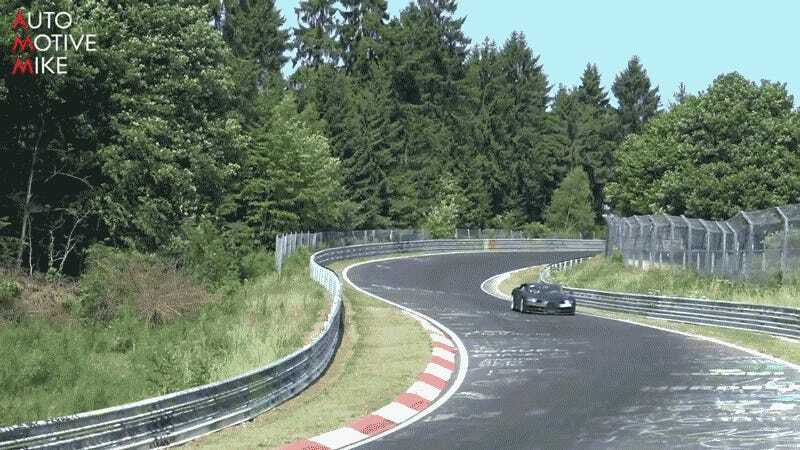 So it’s funny to see one testing on the Nürburgring, as funny to see as it is wonderful to hear. The Chiron runs Bugatti’s quad-turbo W16, a full 8.0-liter powerplant. Like the Veyron before it, only more so, it sounds characteristically premodern, like a distant volcano cracking open, or an entire island collapsing into the sea. Also at one point in this video, the Chiron test car lets a Panamera pass, which is humorous.